For all those fans who have been clamoring for a solo Black Widow movie, momentous news: Marvel boss Kevin Feige told Deadline that of all the characters who so far have only been guest stars in the Marvel Cinematic Universe—Black Widow, Hawkeye, Falcon, War Machine, etc.—he and Marvel are “most committing,” “creatively and emotionally,” to giving Black Widow her own movie. As tepid as Feige’s endorsement is, it’s not surprising: he has long been squishy at best in his language about a solo Black Widow movie. 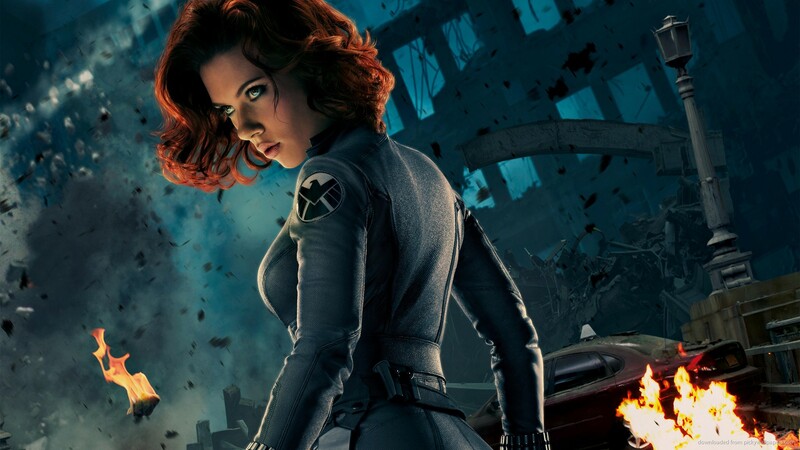 Of course Marvel is “most” committed to Black Widow. Have hordes of fans been begging for a War Machine movie? Of course not. Feige said two years ago that Marvel was doing “development work” on Black Widow movie, the meaning of which is truly whatever you want it to be. But later that year, Marvel announced a Captain Marvel movie instead. And here we are, two years later, still Widow-less. (Maybe there can be only one female-fronted movie in the Marvel Cinematic Universe per decade?) Feige has mastered this variety of verbal gymnastics on his apparent quest to let us all turn 80 before Marvel finally rolls out a Black Widow movie. Yes, the studio “only” does a couple movies per year, but who exactly does Feige want us to believe decided what would be “coming up” in the next few years? Marvel Studios doesn’t receive its mandates from the gods. It makes decisions about what line-up and stories it wants to create—and which characters get to play major parts in telling them. The reasons fans have been begging for a Black Widow movie are many and obvious: as Feige wisely conceded in his Deadline interview, she’s a great character, Scarlett Johansson plays her masterfully, and she has amazing stories to tell. Especially after the role Black Widow played in the last two Avengers movies, the stage seems set for her eventual solo romp. In Age of Ultron, Black Widow’s flashbacks were by far the most interesting—tantalizing clues into a past we would love to hear more about. And in Captain America: Civil War, she’s largely the one who maintains the Avengers’ relationship with T’Challa (Black Panther), and who ultimately decides who comes out on top in the big Avenger vs. Avenger battle in the middle of the film. If we’re to interpret Feige and Disney’s “committing” to a Black Widow film as a positive sign that the project is on its way, perhaps we have other studios to thank for it. After all, it must be at least a little embarrassing for Marvel Studios to see that Warner Bros. has beaten it to the punch, giving Gal Gadot’s Wonder Woman her own movie for next year—two years before a still-uncast Captain Marvel will make her solo debut—while all along they’ve had a fan-favorite female character waiting in the wings. If Gadot, Charlize Theron’s Furiosa in Mad Max: Fury Road, and Daisy Ridley’s Rey in Star Wars haven’t convinced Marvel Studios that fans really, really want to see women leading action movies more than once in a blue moon, what will?